Be ready to confess whatever it is that you have to confess dear jammers! Don't bottle it up. It's time to confess! It's basically a ranked 2-week game jam with 2 themes. The main theme being "confession"! The secondary theme is chosen by me and is given immediately. It starts the month after every Bored Pixels Jam (So February, May, August, and November). Confession Jam was created due to a sudden impulse of mine to make another game jam so I could stay productive after BPJ. 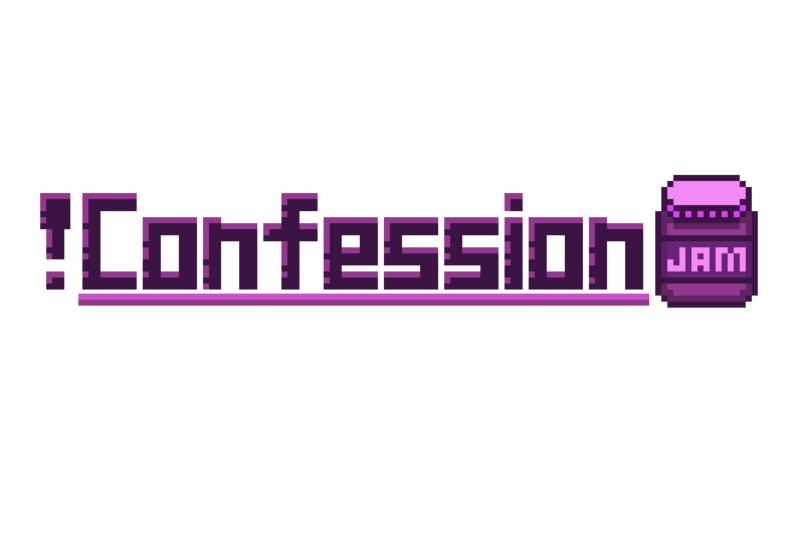 It was also created because I had the urge to confess something so much that I wanted to make a game about it. What are the things I should know about before joining? You don't have to be in a team to join! You can go solo or not. There's no limit to how many team members you can have. This is a ranked jam. People would be rating your game based on relevance to the theme, creativity, gameplay, visual experience, and audio experience. Based on these, awards/titles such as Theme Clinger, Most Creative, Best Gameplay, Eye Pleaser, and Ear Pleaser will be given and the winners will be announced after the one-week voting period is done. You can only use assets (art and music) that you make! You can use any game engine. Your game must be made within the time constraints of the jam. You're allowed to have more than one entry but it's advised to stick to one and concentrate on polishing it. The game you make must be free for people to have easy access on it. NSFW content is allowed. Heavy topics are allowed as well but please refrain from being racist, sexist, transphobic, or generally a hate-spreading person. Get creative, have fun, learn, and CONFESS!! Check out our Crowdforge page! Be sure to check out the Discord Server!